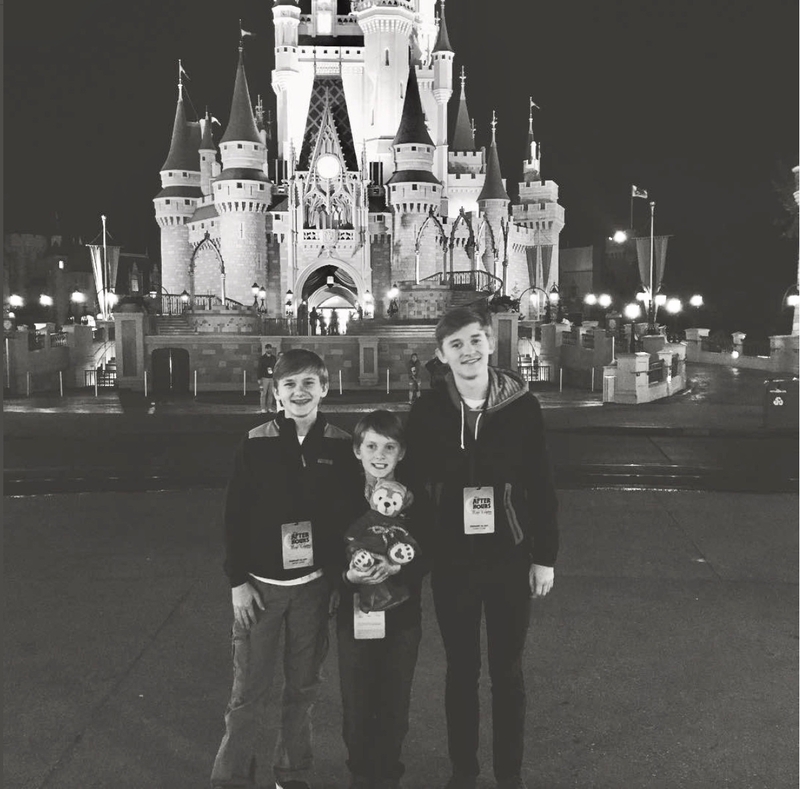 For the second year in a row Disney is offering the most luxurious Disney experience we have ever had, and we have had some ridiculous experiences. Disney After Hours is something my boys and I reminisce about like we went to Buckingham Palace and the queen made us scrambled eggs. It’s that freaking magical. 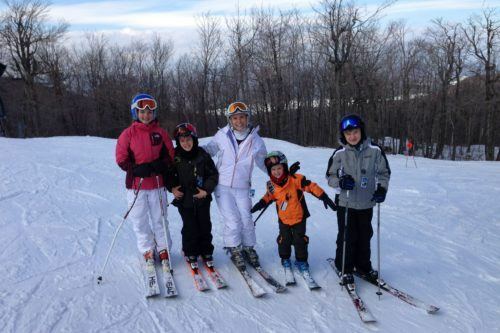 This photo is not edited, they are in front of the castle WITH NO PEOPLE. There are dates left this summer and early fall, so if you are planning a trip, I cannot recommend adding this event to your itinerary enough. Dear Disney, please oh please continue to offer this every year. This is a special event ticket that allows you into the Magic Kingdom “after hours”. This is not extra magic, it is a special event and they sell a limited number of tickets so the park feels EMPTY. As the crowds trudged out after a long day, the boys and I arrived wearing our special hard pass laminates that identified us as Disney After Hours ticket holders. The best rides are open, characters are there to meet, and they offer some snacks and drinks for free. We went on Space Mountain FIVE TIMES IN A ROW. The only wait time was how long it took us to run back up the completely empty queue. We were so giddy with joy at being ALONE at Magic Kingdom we started running like my dog does when he sees snow. He just races in circles howling for no real reason. Everyone else with hard passes was in a similar jovial mood. How could we not be? We are in the happiest place on earth WITHOUT ALL THE ANNOYING OTHER PEOPLE! The ticket is $119 if you buy ahead of time, $124 day of (but the event could be sold out) and $89 for annual pass holders and DVC members. 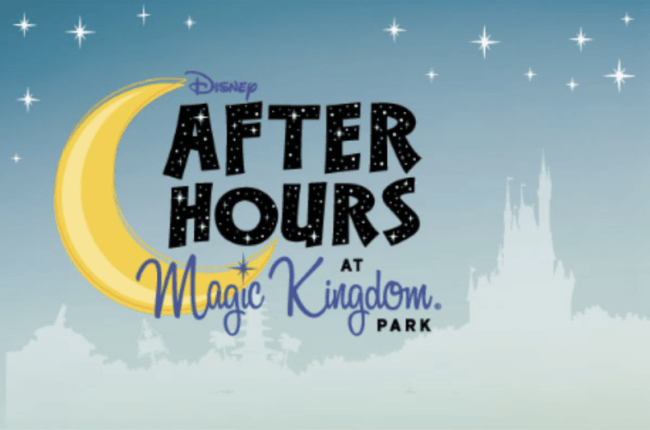 For more information and to book “Disney After Hours” events, go to their special page or call 407-827-7185. There are 25 open attractions like Seven Dwarfs Mine Train, Under the Sea ~ Journey of The Little Mermaid, Space Mountain and many more. Oh, and get this: the ticket allows park entry as early as 7 p.m., which gives you time to enjoy the fireworks before heading off to the attractions. Yeah, it’s really that awesome! You do not need a park ticket in conjunction with the special event ticket. You can spend the day at EPCOT or wherever your heart desires, maybe at the spa at the Four Seasons Orlando and then hit the park with your special event ticket that night. You can enter the park starting at 7:00pm with your special event ticket and then wave goodbye as the crowd clears out of YOUR park. Here are the remaining dates for 2018. I have not heard an announcement about 2019. Saturday, July 28, from 10 p.m. – 1 a.m.
Saturday, August 4, from 10 p.m. – 1 a.m.
Saturday, August 11, from 10 p.m. – 1 a.m.
Thursday, August 30, from 9 p.m. – 12 a.m.
Thursday, September 20, from 9 p.m. – 12 a.m. The boys and I were hosted at Disney After Hours last year as part of a visit to review the Four Seasons. Disney doesn’t pay me, and I generally end up buying most of my park tickets. Also, I won’t tell you something is the BEST EVER if it isn’t. This is the BEST EVER.